The recent blizzard here in Madison has given us reason to slow down, curl up with some hot chocolate, and reflect on 2012. Wow! What an amazing year it's been for Focal Flame Photography. We'll be sharing some numbers next week that will explain that a bit more, but for now we thought it might be fun to tell the year's story in photos. Here's what we consider to be a few of the best of 2012! Focal Flame Photography was founded to share our passion for sports photography and enable our desire to help athletes tell their story through photographs. 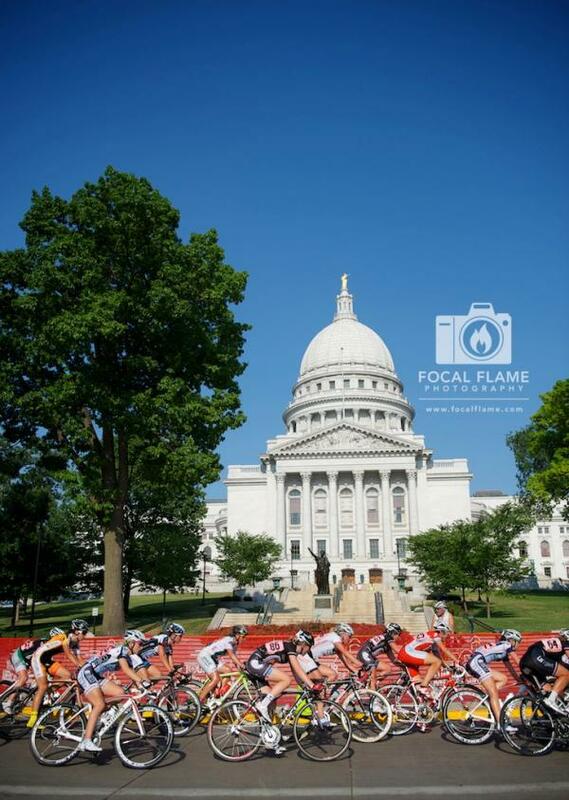 This shot, taken during the Madison Capital Criterium, which was the final stage of the 2012 Tour of America's Dairyland (T.O.A.D.) race series, reflects the determination and intensity we see time and again on the course. When you sign up for an event we're covering, Focal Flame Photography considers you the most important customer of the day. We go to great heights to fulfill our commitment to each participant and every race director - sometimes literally. This photograph shows the start of the Dane County Girls On the Run 5K in November 2012, and was taken from a ladder truck kindly made available by the Waunakee Fire Department. We love Madison - a city that is bristling with kinetic energy. There are action photographs to be made on every corner. This photograph shows the elite women's field at the Madison Capital Criterium during the Tour of America's Dairyland on July 1, 2012. By instinct, photographers are people watchers. We look for moments that need to be preserved forever. This was one of them. Read more about the impact this photo had on us. 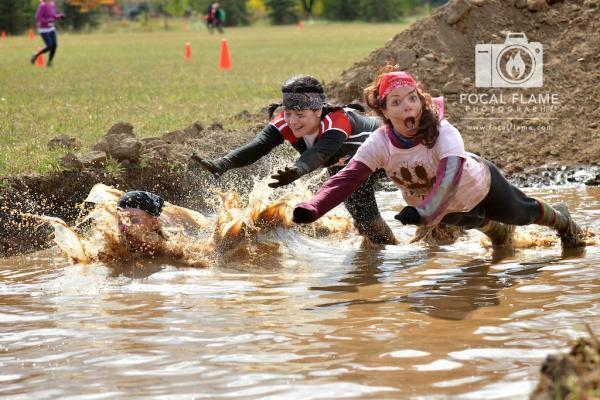 Focal Flame Photography will capture you when the race is hard and you're giving it all you got. And we'll also catch you when you're simply falling into fun! This photograph was taken at the Dirty Dog Mud Run on October 6. After a long, hot summer, the 45 to 50-degree F temperature that morning took some racers by surprise, but this team of friends wasn't daunted. The intensity required to persevere through a competition often mirrors the courage needed to face life's challenges. This image of custom sports photography client Michael Thompson shows him during a pivotal moment on the IronMan Wisconsin bike course. Can you see the thousands of hours of training, the mental preparation, the support from family and friends, and the depth of concentration captured in this instant? Kids are the ultimate in high-intensity action, and when it comes to teamwork, families can be a coordinated force to be reckoned with. (Heck, many families could give consulting advice to professional sports teams about logistics and coordination.) In 2012, we've been honored to increase our portrait and family photography services. Witnessing the dynamics of people in harmony with one another has been truly meaningful. Thank you everyone for making 2012 one of the best years we've seen yet. What are you looking forward to in 2013? Let us know in the comments!